Synthetic Cedar Shakes combine the aesthetic beauty of real cedar shakes with the incredible benefits of a composite roofing product. These polymer-composite shakes are highly textured to imitate the rustic appearance of hand split shakes and are more durable (lasting up to 50 years), giving your home a luxurious, timeless look without the maintenance and drawbacks of real wood shakes. They are also lighter weight than real wood shakes, fade-resistant, impervious to freeze/thaw cycles, and maintenance free. Synthetic Cedar Shakes are available in a variety of color blends mimicking real wood tones and creating a natural variance in color that enhances the realistic appearance. Enjoy the classic beauty of a natural wood look with a sustainable, polymer-composite made of recycled materials. 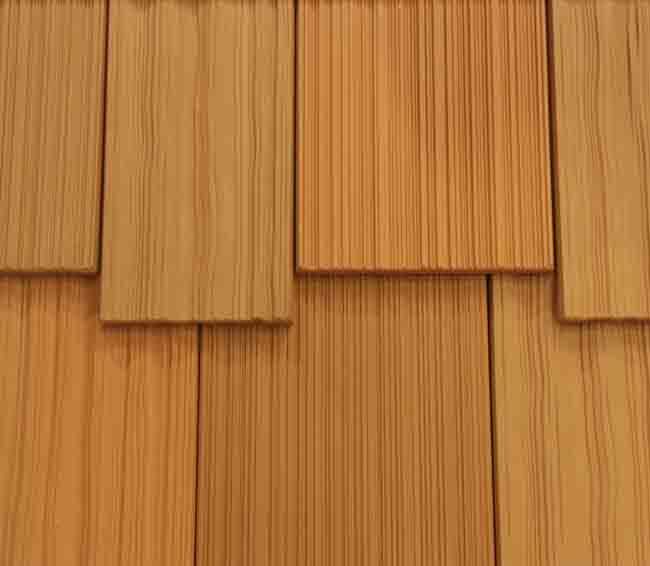 Elegant and more cost-effective than real cedar, the consistent, single-width synthetic shake provides a clean and simple design. The tiles are 9” wide, feature a ⅝” thick profile and deep shadow lines to providing a more authentic rugged look. Average life of single-width synthetic shakes is 50 yrs. View popular colors. Enhance the beauty of your home a multi-width composite shake. 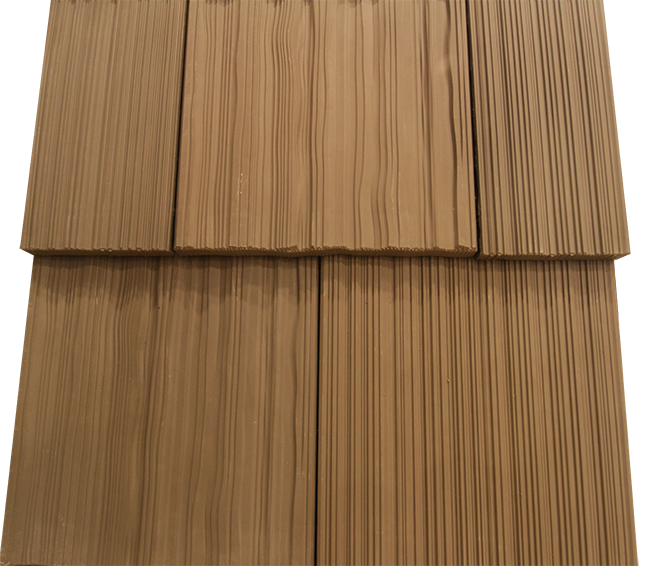 Varying in width these shakes mimic the rustic texture of a natural cedar shake for a dramatic, classic look. Costing less than natural cedar and with a 50 year lifespan, synthetic multi-width shakes make an ideal, economical choice for achieving the aesthetic appeal of real cedar. View popular colors. 301 Fields Drive, Aberdeen, NC 28315. Contact us to schedule an appointment.